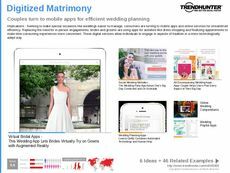 Find Better Ideas, Faster ® with a custom wedding decor trend report, our PRO Dashboard and 80+ categories of premium trend reports. 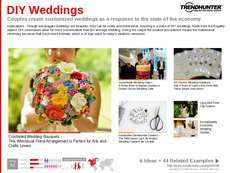 The Wedding Decor Trend Report covers both the world of creative decor, and also the huge industry that is wedding planning. Our research sifts through countless different decorative ideas and concepts to provide a streamlined path towards the most creative and trending products, ideas and concepts currently making waves within the wedding decor industry. 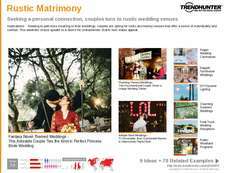 This report is an essential tool for wedding planners, decorators and also engaged couples seeking new and creative decor ideas for a wedding. Our crowdsourced and data-driven findings will help provide inspiration based not only upon proven themes and concepts currently trending both within the consumer market, but also amongst creative professional decorators and designers. 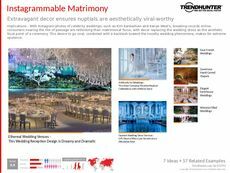 The Wedding Decor Trend Report will provide an exhaustive database of curated research on the latest and greatest decorative trends taking off within the wedding planning industry.